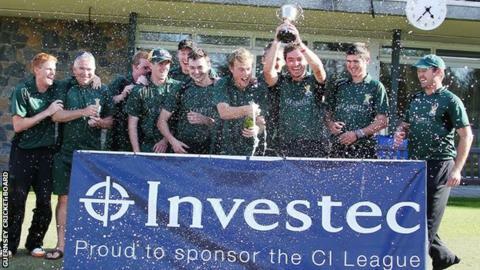 Guernsey's Argyll Investments have won the Channel Islands Cricket League after beating reigning champions Old Victorians by four wickets at the KGV. Argyll restricted OVs to just 175 all out from 46.1 overs with David Hooper and Will Peatfield each taking three wickets as Luke Gallichan hit 53. In reply, Argyll eased to their target with more than 15 overs to spare. Tom Magson hit 65 while Glenn le Tissier had 28 as Gallichan took three wickets for the Jersey side. Magson's batting total saw him take the man of the match honours as Argyll took their first ever Channel Island title.